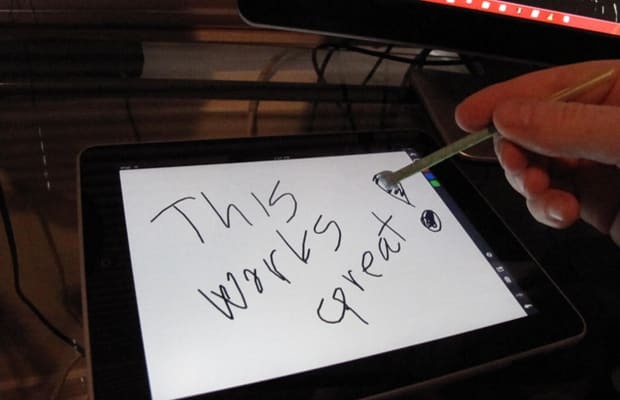 Further reducing the need for an actual PC ever again, accessories maker Targus and app developer iDevices have teamed up to produce iNotebook, a handwriting-recognition app and stylus that wireless transfers written notes onto the iPad. The process requires users to write their notes with the stylus onto a 9.5-in x 7.5-inch notepad to be placed atop the iPad. Then the app gets to work, doing the transcription. Exorbitantly priced at $149, most folks will be forced to skip this iteration. Here’s hoping that by the next go, they’ll have figured out how to bring the cost down and eliminate the notepad.